For teachers, play workers, youth workers or educators who want to use the outdoors in your own setting as a more productive play environment, and build your confidence and repertoire of skills and techniques. This will provide a qualification that contributes to your record of CPD. It will be three packed days of training spread over three months to give you time to try things out in between. You will go away with a treasure trove of ideas and techniques to apply in your setting. 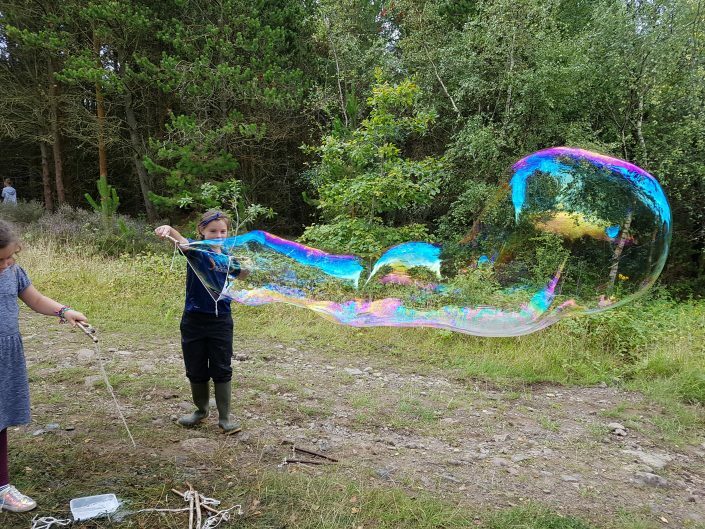 You don’t need a special woodland site – this course is designed for people who want to make the most of what they have, be it an area of woodland, grassland or a small school yard. We will give suggestions of how to resource the most basic of environments.